Dr. Naik’s dental qualifications have also prepared her to provide preventative care and to recognize when a child needs to be recommended to a specialist. At Dr. Naik’s dental office in Vienna, Virginia, children’s teeth will be assessed for normal development and their gums will be monitored for gingivitis and periodontal disease. Dr. Naik is a highly qualified dentist who enjoys children and teaching them how to care for their teeth and gums. She can also care for fractured teeth, knocked-out teeth, and displaced teeth in the event of a dental injury. Dr. Naik’s pediatric dentistry practice in Vienna, VA is also experienced in managing oral and dental conditions, which could include ulcers and short frenulae. Educating parents and children is extremely important to Dr. Naik. Her pediatric dentistry practice makes sure to educate parents and kids about how different foods and drinks affect their teeth. Dr. Naik also enjoys teaching children and teens how to take care of their teeth properly and teaching parents how to care for baby teeth and infant mouths. Through her dental qualifications, Dr. Naik has learned how to care for small teeth. However, it’s her experience in pediatric dentistry that gave Dr. Naik her love for children and her interest in helping them maintain healthy smiles. Also, Dr. Naik believes that a trip to the dentist should be calm and predictable for a child. That being said, she always begins her visits by explaining to both the parent and the child what they can expect to happen during the visit. As a general dentist who has experience with pediatric dentistry, choosing Dr. Naik’s Vienna, VA, dentist office offers families a unique opportunity to all attend the same dentist. Parents can seek dental care at Dr. Naik’s office before their children and then can honestly tell their child that there is nothing to be afraid of. Also, taking a family trip to the dentist where everyone who left the house together can see the same dentist saves time and gasoline. It also makes dental health appear to the child as more of a family effort instead of something that they have to “suffer” through alone. 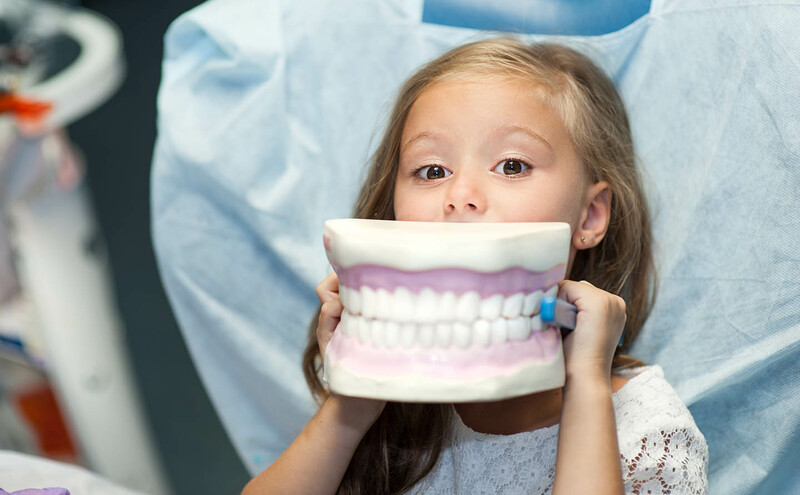 It is difficult to choose a qualified dentist for a young one’s first visit or as an older child’s new dentist. However, the office of local Falls Church, VA dentist Dr. Priti Naik makes the decision easy. Her glowing reviews and tranquil, professional atmosphere make a dentist appointment pleasant and relaxing. Whether you choose Dr. Naik’s dental office in Vienna, Virginia for tooth whitening treatment or dental implants, you can be sure that your child will be in qualified, experienced hands.